Easy access to thousands of hours of learning! 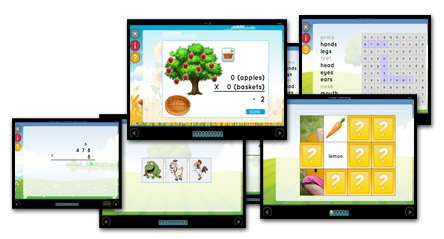 Our K-6 curriculum has literally thousands of hours of learning activities that your learners can take at their own pace to supplement their education, giving them a proven advantage. The Essential Skills Advantage curriculum has been used in thousands of schools across the United States for over fifteen years. It has remained relevant and effective, with a proven track record of improving grades and instilling confidence in young learners. Our programs are organized by grade and subject for easy access. You can choose the learning path your student takes or let them start at the beginning and go section by section as you see fit. Keep your learners engaged and enjoying themselves! Students often lose focus, getting bored or distracted with routine tasks. That is where we are different. Students can switch activity types, subjects and even try advanced grade levels when their attentions wander. With activities such as crosswords and matching puzzles that feel like games and richly visual geography and science units, your child will want to keep using ESA! Tired of not knowing where your child needs help? 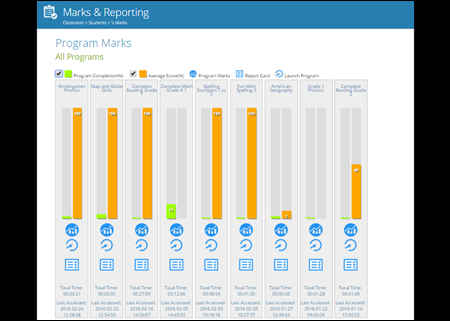 With our marks and progress tracking you can see how long it takes them to complete an activity, how many attempts were made and the score they achieved. Take the guessing game out of your child's learning struggles and achievements. See the results directly with ESA! 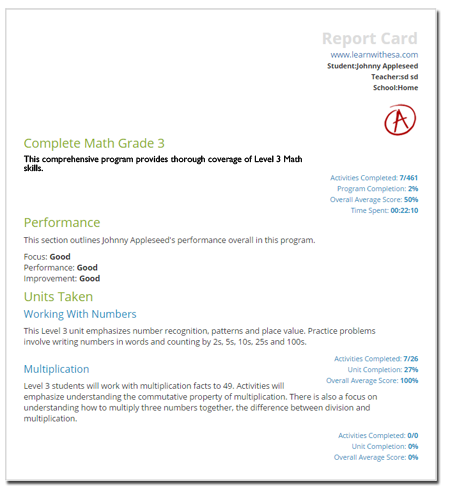 Print off Progress and Report cards to keep your child excited about learning and proud of what they have accomplished. 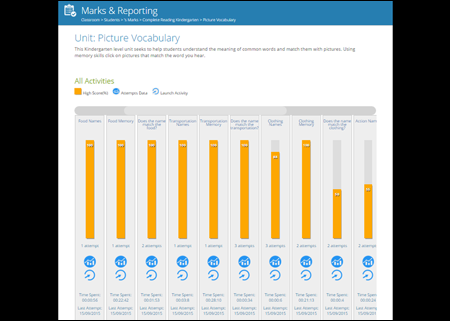 You can easily view all of their progress at the grade, subject, program and even individual screen level to see how they're learning! 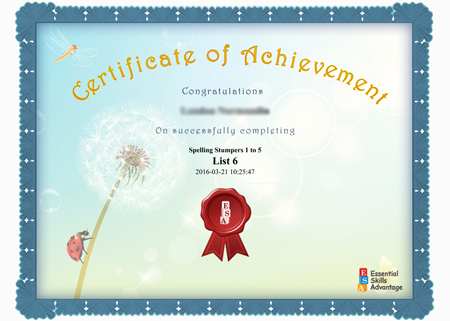 Throw their stellar achievements up on the wall or fridge to keep them motivated between school report cards.